A situational judgement test, also known as an SJT, assesses the way you approach different situations encountered in the workplace. You are presented with a realistic, hypothetical scenario and have to identify the most appropriate response or rank responses according to effectiveness. In most cases situational judgement tests are designed to determine behavior, assessing how you act in certain workplace situations. Situational judgement tests can also be designed to assess how well you prioritize or how well you follow instructions. While situational judgement tests are similar, the layouts vary. Here are the three most common kinds. In this type of situational judgement test you are given one scenario and two to six possible responses. You have to choose which response you believe to be the best in the given situation. You are given one scenario and several proposed responses. You have to rate these responses according to how desirable you believe the responses to be. You are given a rating scale from highly desirable to highly undesirable. A desirable response is a response that you believe to be a positive action in the given situation. Where are Situational Judgement tests used? SJTs are a popular tool used by employers during their hiring process to reduce their candidate pools. Professions where SJTs are commonly used are administrative, management, firefighters, customer service, nursing, call centers, and police officers. 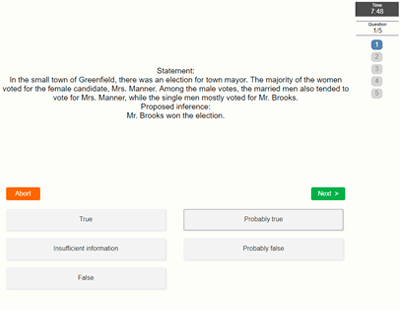 Try a free Situational Judgement Test. 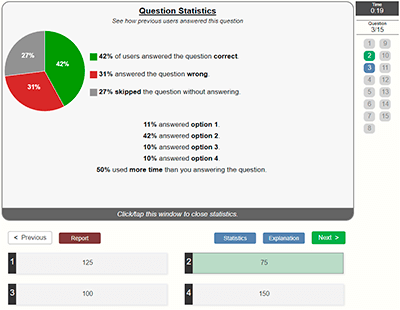 This is a free practice test containing 5 scenarios and 20 items with a time limit of 8 minutes. Would you like to improve your test score? 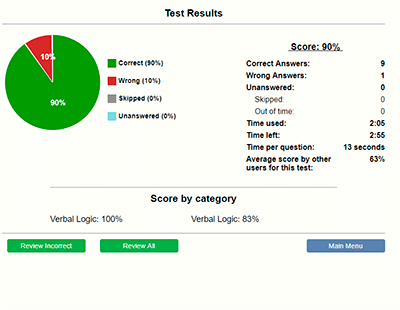 Practice smart with a Test Prep Account. 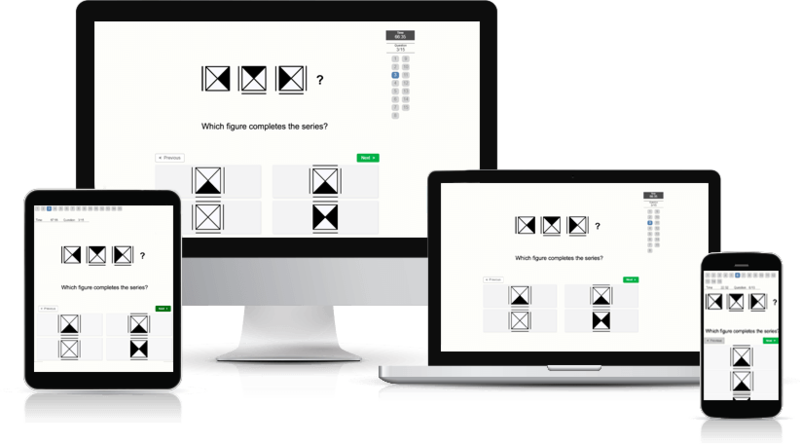 Practice for your situational judgement test with 75 scenarios (225 items) and a total of more than 1800 other aptitude questions with detailed description and score statistics. 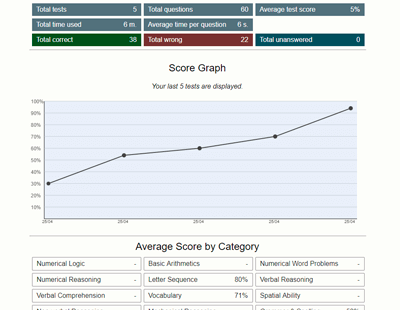 Learn more or sign up now to get instant online access 24/7 to your personal Test Prep Account.